Just a short reminder that I´ll be deleting all the MP3s on this site this week. If anyone wants some of the digital files: get them now. Most importantly because I hate digital files deeply. I personally have got no use for them. The discussion and controversy surrounding them has spoiled my enjoyment of listening to music. I love records. And I love to buy them. Why now, after creating and distributing digital files for five years? Because I´m an artist myself, it never felt right to take other artists creative property and distribute it for free. I never intended to create a permanent online download archive either, where everyone can just grab a file at random and run. Then last month Scott Soriano has really got me thinking. When he put his blog Crud Crud – that inspired me to do mine – on hiatus, his call for a new set of blog ethics resonated with me. What are the blog ethics? Not so very different from what I have already gone by the past five years. They will be a mixture of the set that Scott Soriano outlined in his commentary and, because we have different laws in Germany, German copyright laws. 1. The first thing is that I will make every attempt to seek out and obtain permission from an artist. That´s the main and more difficult and time consuming change of approach. The artists have a right to be asked if I can use their work and the right to be paid for it. If I can´t find them, I won´t use their work. If they don´t want to give permission, I won´t use their work. If I can´t pay them, I won´t use their work. 2. If the artists are anonymous or pseudonymous and it´s been 50 years after the record was first published, I will present their work. 3. If I have established that they are dead, anonymous or impossible to track down and their material appeared on a state-run label, I think it is fair to present their work. Will having stated blog ethics mean that posting MP3s on Berlin Beatet Bestes will be legal in the future then? Sadly not. German copyright law does not know the term “public domain”. Basically every artistic work is protected by copyright. In Germany GEMA has the legal monopoly on all music rights. Because they have agreements with most other international copyright collectives, GEMA claims that they have the copyrights to every piece of music that is published in Germany and worldwide. So far they don´t have to prove otherwise. The music user has to prove it. This creates the absurd situation, that even if you´re an artist and you want to put your own music on your website, you still have to pay GEMA first. Eventually they will return money to you, but first you have to pay them. And if I wanted this site to be legal I would have to seek GEMA´s permission to publish every single piece of music first and pay for it. Likewise, most material that was released by state-owned labels, is still under copyright today. For example in the early 1990s the catalog of the communist East-German label Amiga was bought by Bertelsmann and then sold to Sony. It does help a handful of artists who established themselves in a dictatorship and then after it´s demise, continued in the new system. 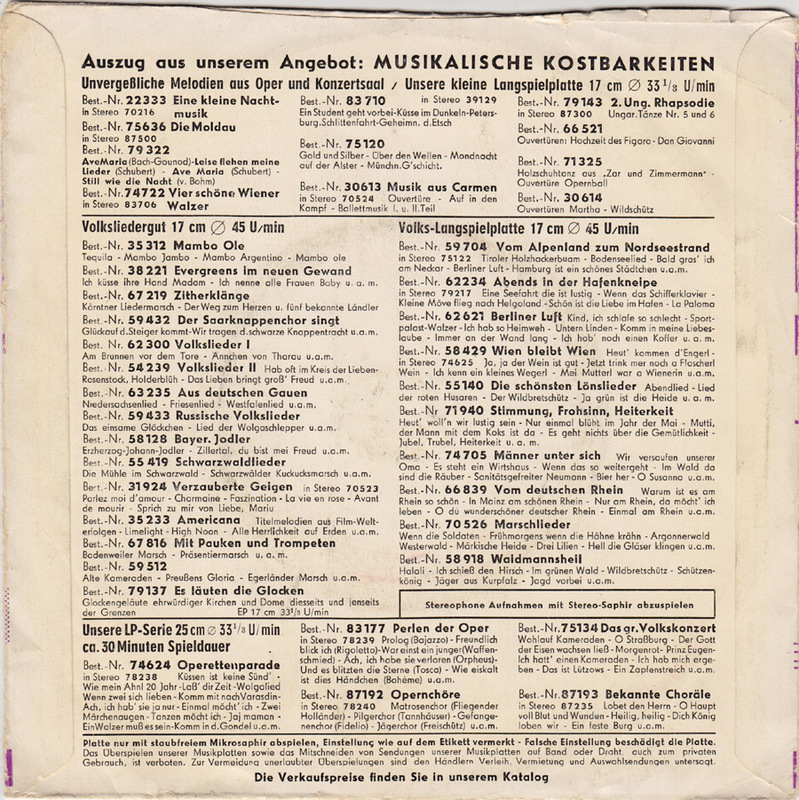 But it´s absurd that if you want to publish a communist propaganda record from the GDR, you still have to ask Sony, their former capitalist enemy. Unlike in the U.S. where work is under copyright for 95 years, in Germany a work is only protected 70 years after the death of its creator! Luckily, like Italian law, German law also knows the 50 year rule, but only concerning anonymous or pseudonymous works, where the death of the creator is unknown. In that case the date when the record was first published is relevant, mostly after 50 years. I will go by that. In 1945 Germany was in ruins, but not only the buildings were damaged, the people were damaged too from living – and most of them also actively taking part – in a dictatorship for twelve years. Germany´s pop culture elite had largely been murdered or forced to leave the country. The international flair of Berlin before 1933 was gone. Germany was stewing in it´s own juices. 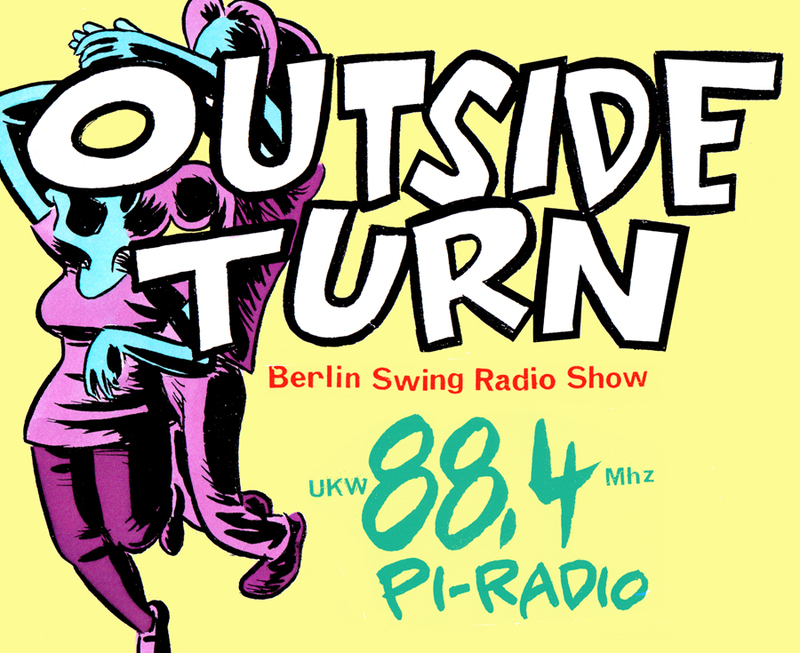 In the 1950s artists from abroad that made Germany their new home like Bill Ramsey, Chris Howland, Caterina Valente, Mona Baptiste, Billy Mo and Roberto Blanco contributed greatly to rebuild German pop culture. They brought a much-needed light-hardheartedness and international quality that was missing from most of the artists who grew up in Nazi Germany. Bill Ramsey, born 1931 in Cincinnati, Ohio, came to Germany in the early 50s serving in the U.S. Air Force. While performing in clubs, among them the Jazzkeller in Frankfurt, he was discovered by an employee of AFN to entertain the troops. Ramsey got his first contract with Polydor in 1958, which started his long career in Germany. 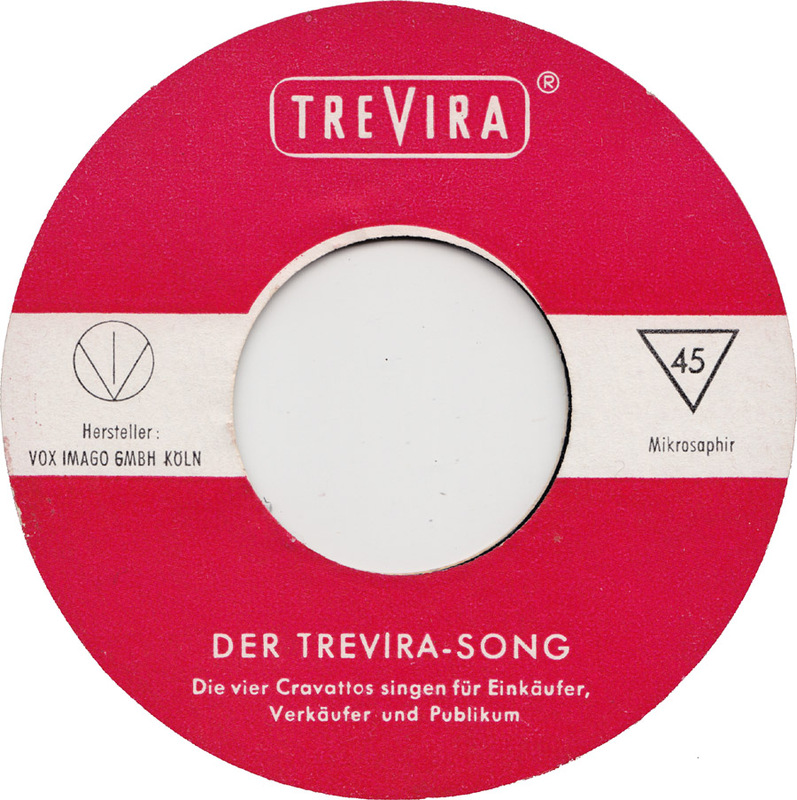 In the late 50s he recorded a string of great goofy schlager songs, including German versions of Purple People Eater and Banned In Boston. 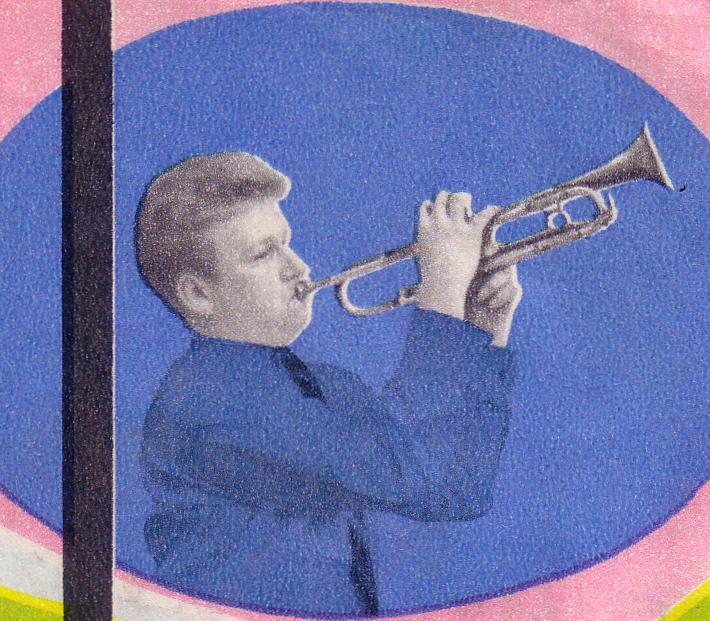 By the mid-60s he finally managed to settle in the jazz field, where he has remained ever since. One of my favorite early Bill Ramsey jazz outings was an excellent jazz EP backed by Paul Kuhn and his trio, that was recorded by the Czech Supraphon label in 1966. Bear Family Records has reissued it on their Caldonia CD, of all-live Bill Ramsey material. 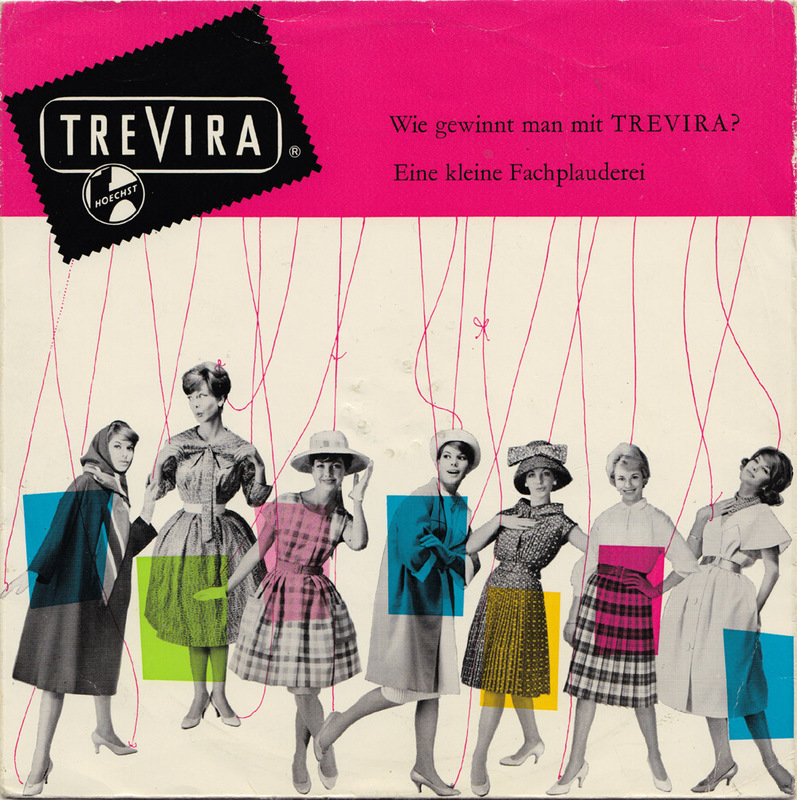 So, after advertising the advantages of polyester, here´s a tune celebrating the comfort of cotton. Naturally it feels much smoother. Recorded in the late 60s, the two tracks – or rather one long track split into two – are a combination of Bill Ramsey´s earlier and later work. 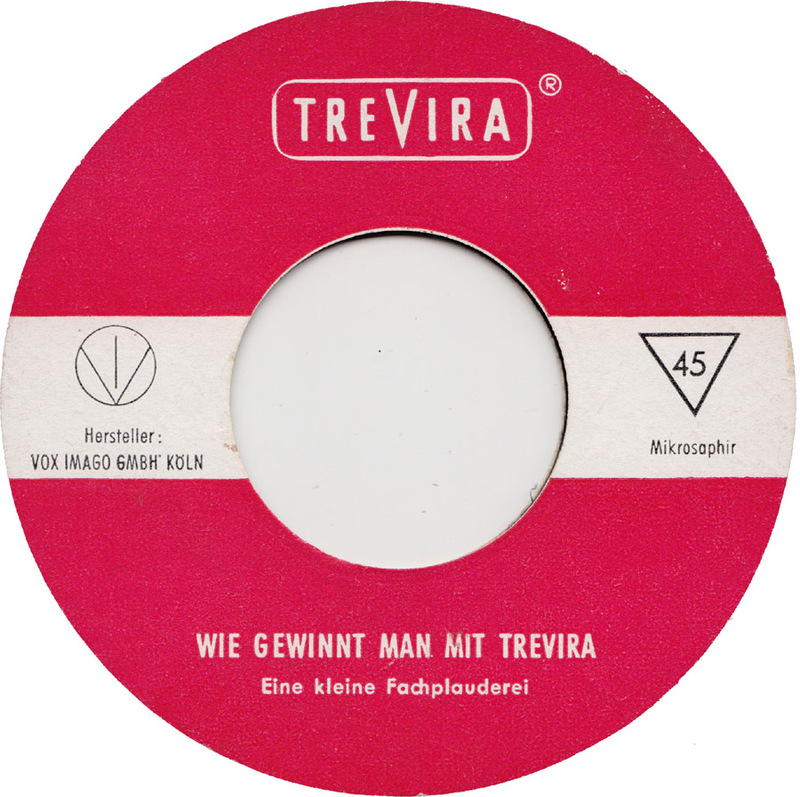 The commissioned advertisement song mixes some funny German lyrics with a bit of soul, beat and a Herbie Mann-flute. Since I´ve bought this record some years ago, it has puzzled me. 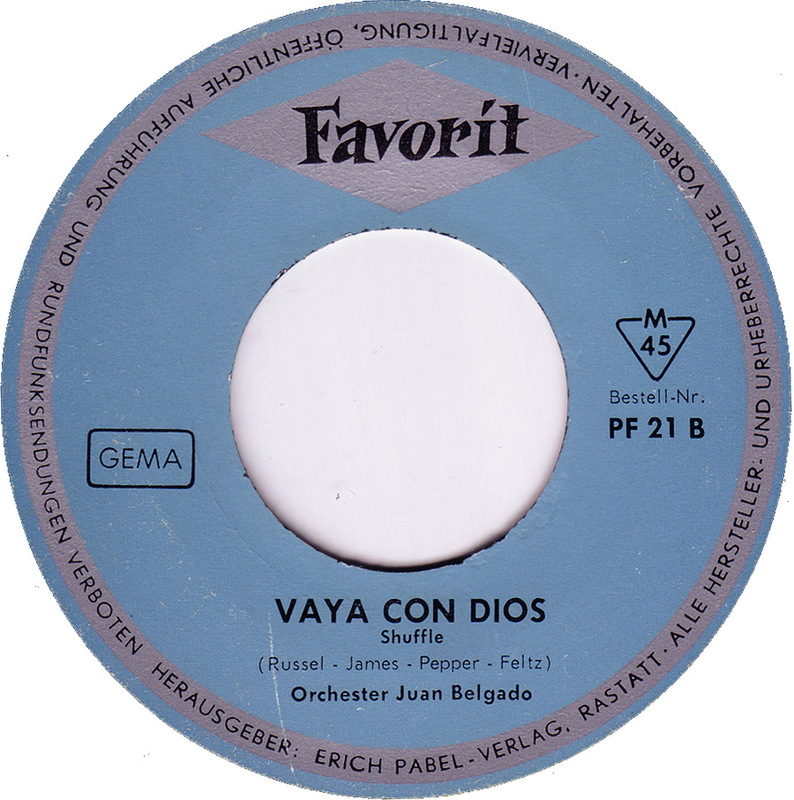 I always wished Juan Belgado´s upbeat rock´n´roll version of Les Paul and Mary Ford´s hit song Vaya Con Dios, was a unique product of the Favorit budget label, but it seemed very unlikely. It´s just too good. 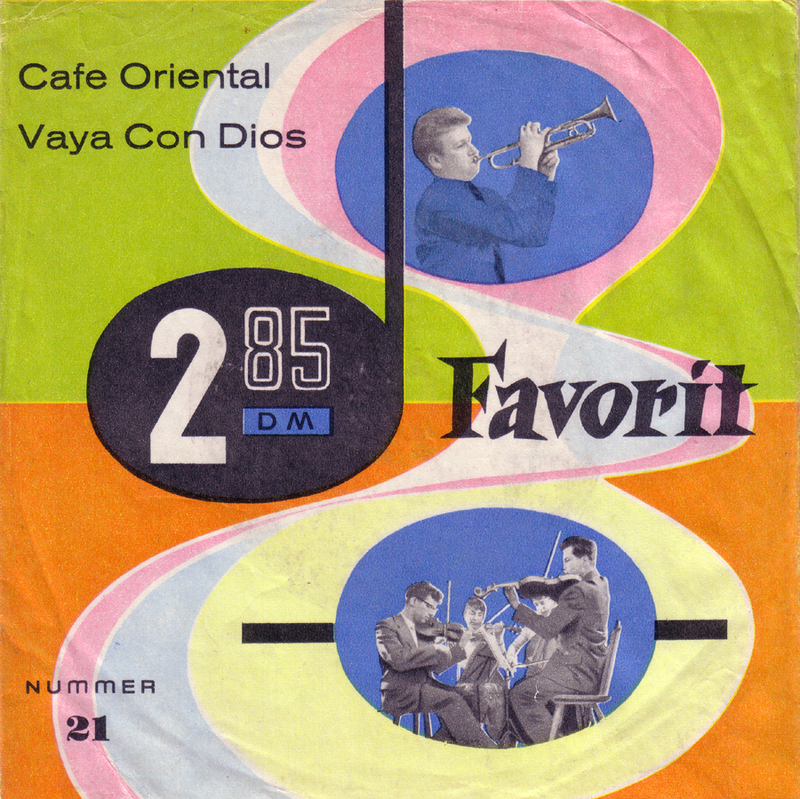 Most German budget labels just didn´t come up with original stuff, let alone rock´n´roll instrumental versions of Vaya Con Dios. 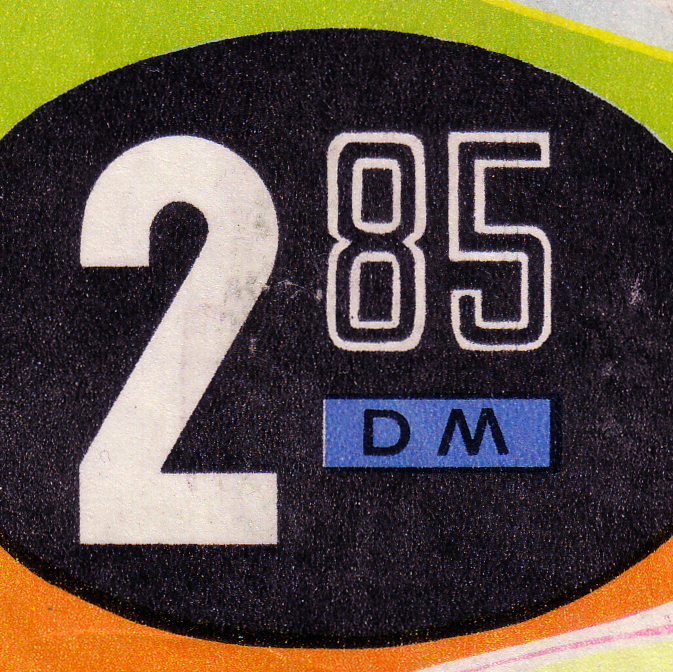 Their objective was not to be creative, but to supply consumers with cheaper hit records than those of the bigger labels – 2.85 instead of the average 4 Deutschmark. 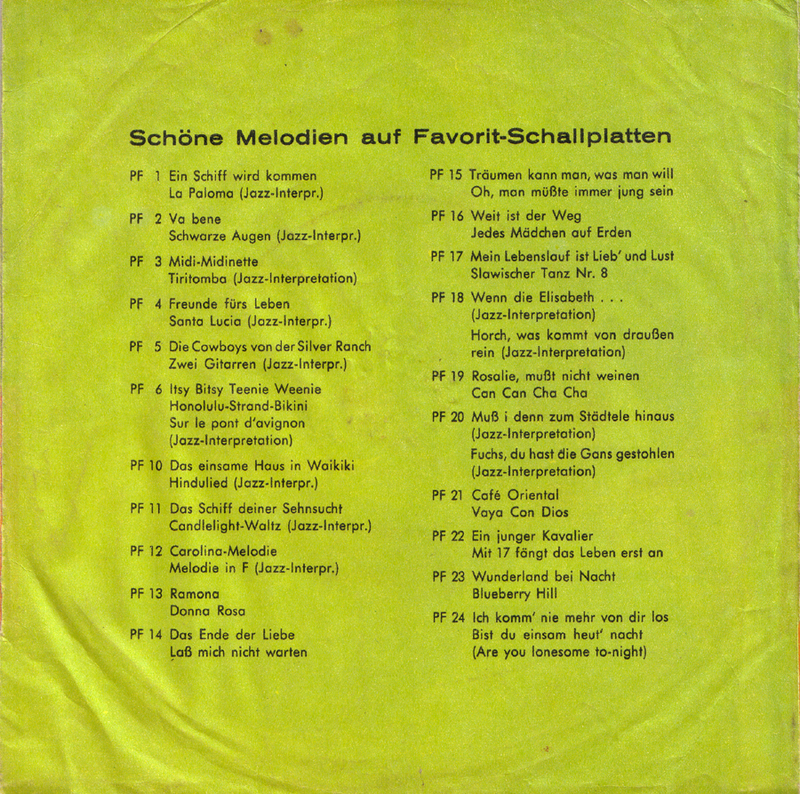 That´s why the label´s catalog is largely comprised of schlager stuff like the A-Side of this record, a boring version of Vico Torriani´s Café Oriental. More likely Juan Belgado´s version of Vaya Con Dios was also copied from another already existing instrumental version. Today, after yet another Internet search, I finally found the answer. A fan of instrumental rock´n´roll could have probably told me right away. This German budget version is a pretty faithful copy of Vaya Con Dios by The Virtues from Philadelphia, Pennsylvania! 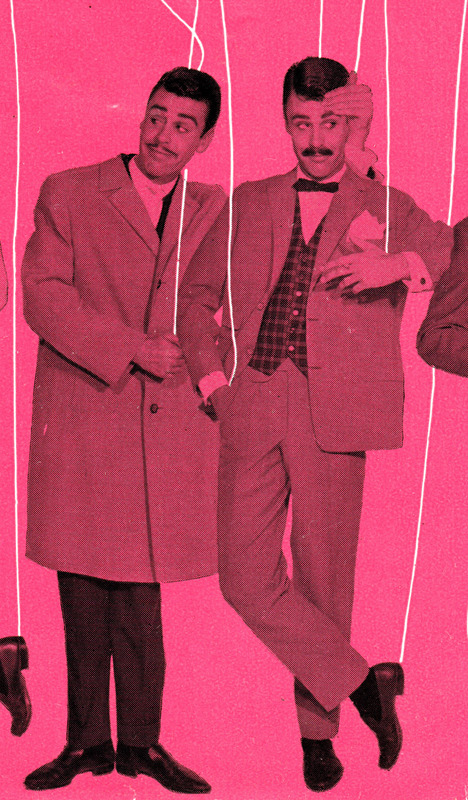 Their only hit record, a rock´n´roll reworking of Arthur Smith´s Guitar Boogie hit #5 in the Billboard 100 in 1959. 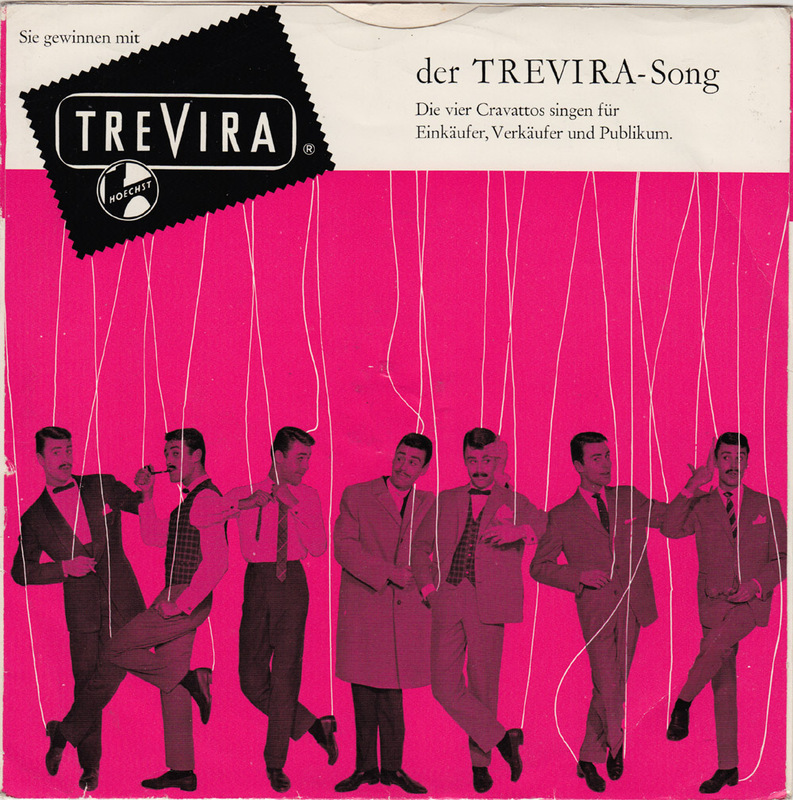 Now that I´ve solved this mystery, it´s still pretty cool that a tiny German budget label chose to copy an obscure version of a hit song by The Virtues. The question of Juan Belgado and his band´s true identities still remains. The name “Juan Belgado” was obviously chosen to sound like Roberto Delgado, an alias of successful bandleader Horst Wende. His band featured Ladi Geisler, at that time one of Germany´s best rock´n´roll guitarists. Their Polydor EP Heiße Gitarren is early German instrumental rock´n´roll similar to Johnny & The Hurricanes. But who played that throbbing tremolo guitar in Juan Belgado´s band? 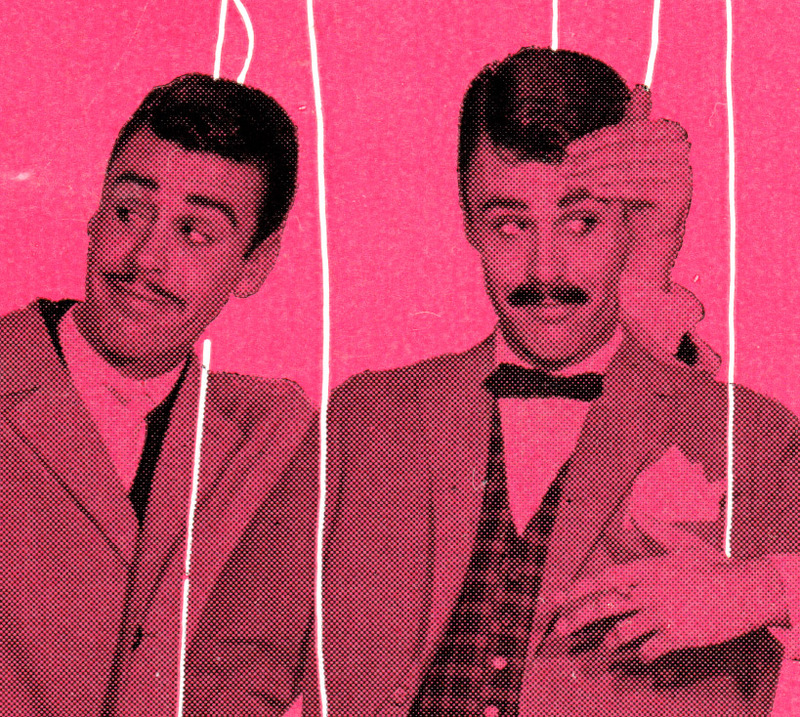 The history of pop music is full of false identities and endless copying. The beauty is that some of those mysteries will never be solved. Quelle was widely known as Germany´s most successful mail order company but until the 1980s they were also one of the five biggest chains of department stores. Established in 1927 the company declared bankruptcy in 2009 and the rights to the name were bought up by Otto, formerly their biggest rival in the mail order business. 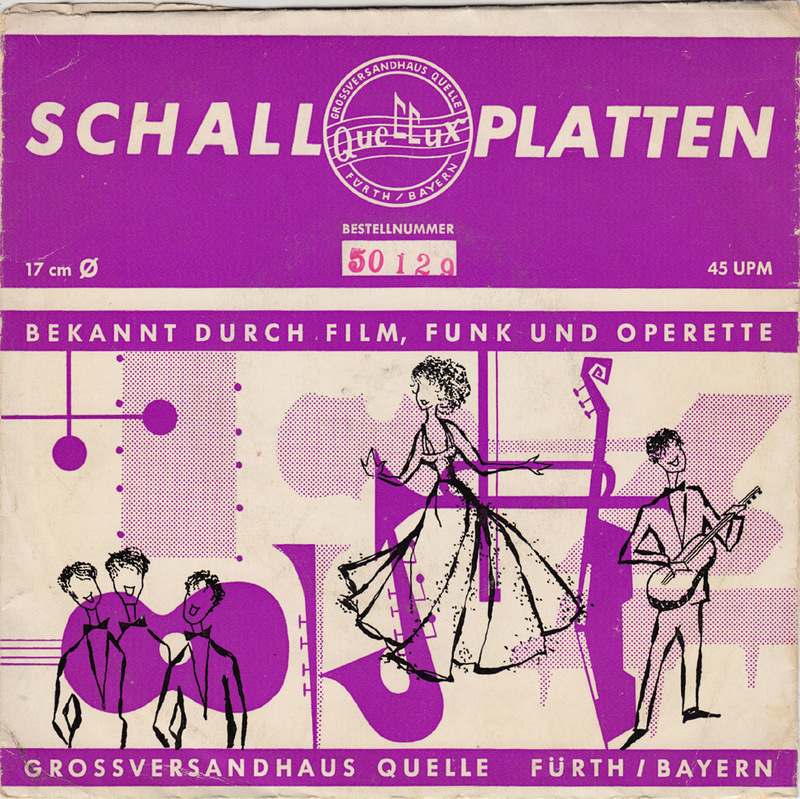 In the 1950s Quelle tried to grab a slice of the booming record market with their own short lived Quellux label. Quellux records were sold solely in their own Quelle department stores. 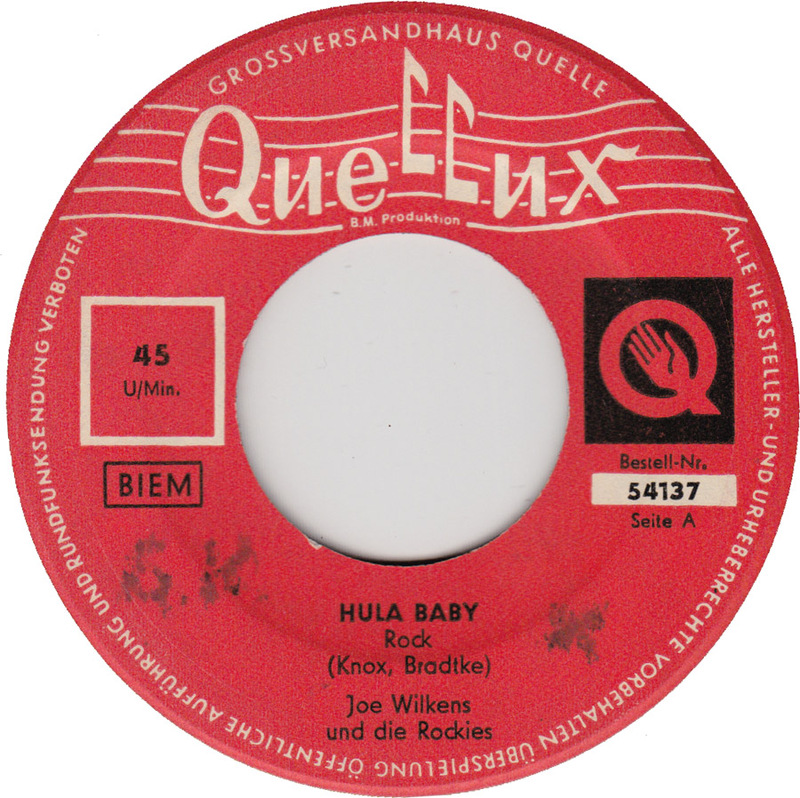 Hula Baby is a German version, first recorded by Peter Kraus in 1958, of Buddy Knox´ hit record Hula Love, that was likewise a version of Hawaiian Song, written and recorded by Leadbelly in 1948. 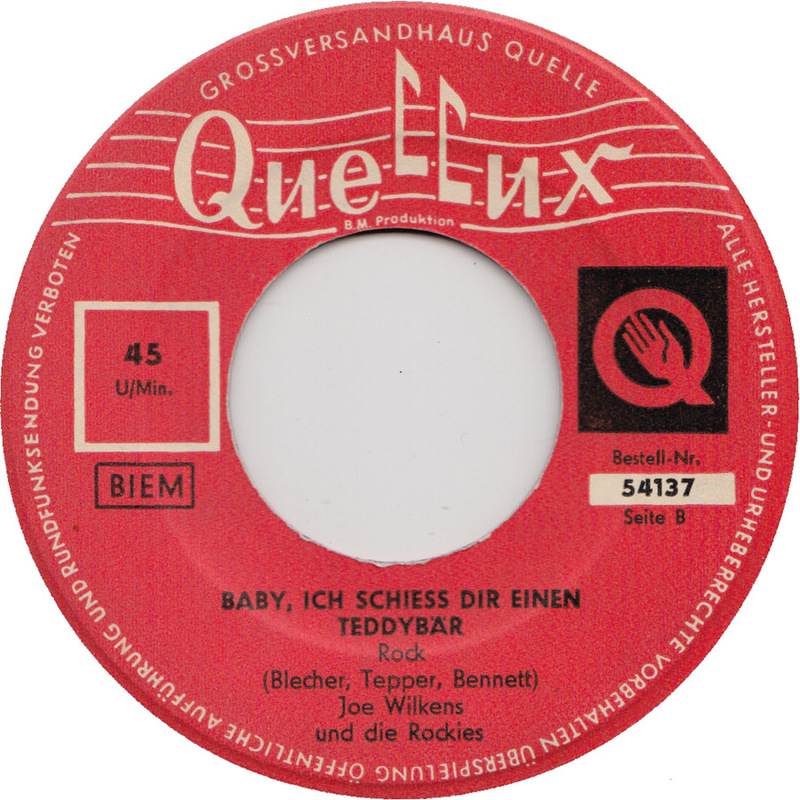 Baby, ich schiess dir einen Teddybär , a cover version of Perry Como´s “Kewpie Doll”, was first recorded by Austrian pop singer Jörg Maria Berg. Four years ago I posted another fine version of that song by Francesco Barini on the local Berlin budget flexi disc label Rondo here. I have no idea who is behind Joe Wilkens and his Rockies and as usual both versions have never been reissued in any format.